A few weeks ago the Drakes Oyster farm in Point Reyes California had exhausted pretty much all of it’s options for survival. The U.S. Secretary of the Interior, Ken Salazar, denied the California oyster farm a renewal on their lease with the National government. The decision also mandated that the company and it’s employees had 90 days to pack up their operation and vacate the land. That is until the company sued the US government. for a restraining order on the decision and go on operating using arguments ranging from improper science to illegally not having enough time for public comment on the environmental reviews or the decision making process (even though a simple search finds many including his own). I have worked on this issue since 2008, four years after the current owner Kevin Lunny bought the Oyster Farm and the remainder of the 40 year lease on the property. Over the years, and in a recent deluge, I have heard all sorts of arguments on both sides of the Oyster Farm debate. 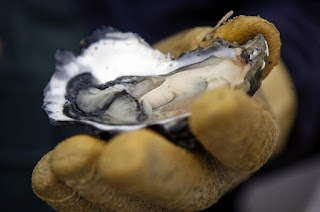 Everything to it’s positive impact on the local economy and culture to the price of oysters to the company’s impact on the local environment the denials of the validity of that science, the reviews of those denials and the money wasted on that process. It was one of the first times I had seen such a divisive line between liberal leaning people. The debate split the wilderness conservationist from the localvore/micro-economists. The fight has also brought out of the woodwork free-market groups and even the Koch Brothers. Apparently the current non-profit, Cause of Action, that is providing free legal service to the Oyster farm is headed by Dan Epstein, a former staffer for the Koch Brother’s Charitable Fund. The work I did with the Environmental Action Committee of West Marin gave me a bit of a perspective on this issue that I feel the need to share. None of the previously mentioned issues (economic, local jobs, even negative environmental impact) are the pivotal point for me. The lease in question was a 40 year non-renewable lease between the government and the owners of the farm and was set to lapse this year. As the title implies, a non-renewable lease is just that, set to terminate at a certain date and not be renewed. Kevin Lunny knew this when he bought the farm from the previous owners and hit the ground running by petitioning members of the federal government like Congresswoman Diane Feinstein, who has been working on renewing the non-renewable lease for the past several years. There is no reason the owner should be “shocked” at this news, and should have made preparations for the 31 employees. To really understand what is happening you have to know the history. During the 1960’s and 70’s there was an expansion in the National Parks Service (NPS) and environmental protection laws. This included a law signed by President Kennedy in 1962 establishing a national seashore on the peninsula “to save and preserve, for purposes of public recreation, benefit, and inspiration, a portion of the diminishing seashore of the United States that remains undeveloped." To make a compromise with ranchers and dairy farmers who were upset with their lands becoming protected lands, the federal government bought out the farms and leased the land back to them so the businesses could continue. In ‘72 the then owned Johnson’s Oyster Farm was bought by the government and a special non-renewable agreement was reached. The purpose of this agreement was to eventually allow the area to return to wilderness, area of land and water large enough to sustain biological diversity, which would be given the highest level of federal protection. In 2004, a local rancher named Kevin Lunny bought the farm from Johnson and gambled on being able to break this government agreement. Salazar referenced the original "Congressional designation of Drakes Estero as "potential wilderness" in 1976, it intended the picturesque inlet to become full wilderness once the oyster farm's lease expired in 2012. Indeed, the only reason Congress didn't designate Drakes Estero as full wilderness in 1976 was because of the oyster farm, Salazar added." While Congresswoman Feinstein is “upset” at Ken Salazar’s decision, it doesn’t change the fact that there is no legal reason to turn away from this contract and that by breaking this agreement, it can set a precedent to endanger protected lands in the future. That doesn’t seem like something a self described environmentalist should do. An interesting part of this story is that, had Feinstein not interfered with the process through an amendment to existing laws, there wouldn’t even have been a need to make a decision. The area would have just been forced to “return to wilderness” as per the original agreement. This is the real point of this argument. It isn’ the economic one, or the 31 lost jobs or anything else. It is the precedent. The US government has never extended the lease of a “non-conforming commercial operation,” like Drakes Bay oyster farm, on national parkland designated by Congress to become wilderness.If the deal can be broken and changed then there would be nothing to stop logging, mining and other operations in similar situations in other states from continuing perpetually. You better believe that the conservative business movement and the Koch Brothers would love to see this gate opened. There are plenty of links in this post, plenty of information. There have even been emotional youtube videos made for the Oyster Farm. I have stated my side, please read up on it and decide if having cheap local oysters on your plate is really worth opening this door. Good job buddy. Thanks for your hard work. I agree with you. At first, I supported Lunny, but when I found he crawled into to bed with the Koch Brothers, I changed my mind. Yes, it would open the door for logging, mining,ect on federal lands. This is still going on in July 2014. Farm to Consumer Legal Defense Fund is now paying for his legal fight, Are they also funded by the Koch Brothers? The sky is not falling, the Ocean is rising.